If you’re planning to buy a new home, rent out an existing property,	or buy and resell a property to make a profit, it’s a good idea	to schedule a professional roof inspection. 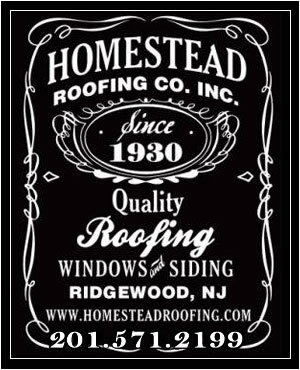 When you’re in need	of a roof inspection in Ridgewood, NJ, it’s essential that you find	the most qualified contractor possible. The certified roof inspectors	at The Homestead Roofing Co. have the experience and training necessary	to provide you with a reliable yearly inspection. When should I have my roof inspected? Many homeowners choose to schedule roof inspections after severe weather	in order to identify possible property damage. It’s also a good	idea to schedule a yearly inspection, even if you have not experienced	severe weather, so you can catch minor problems before they get worse. There are other situations in which you may want to have your roof inspected,	though. New homebuyers, home flippers, rental property owners, and commercial	property owners will all need roof inspections to evaluate the soundness	of their building’s roof. What happens if I don’t inspect my roof? If you don’t have your roof inspected at least once a year, you’re	running the risk of missing damage that could become costly if ignored. Over time, roof damage can harm the integrity of your building and lower	its value, which is especially problematic if you are trying to sell or	rent it. To be on the safe side, it’s best to schedule an annual	inspection. What does a roof inspection entail? When a roofing professional comes to inspect your roof, his or her first	priority will be to check for damage. This may include missing or broken	shingles, leaks or water damage, and damaged gutters or vents. The inspection	can take up to several hours, depending on the size and condition of your	building’s roof. Is it safe to inspect my own roof? Roofing professionals advise against trying to inspect your roof yourself. Not only will you risk seriously injuring yourself, but without a professional	eye, you could easily miss subtle forms of damage. Having your inspection	performed by a professional is the surest way to catch each and every	potential problem. When you’re ready to schedule your roof inspection, call The Homestead	Roofing Co. at (201) 571-2388. We offer comprehensive roofing services	to customers in Ridgewood, NJ—along with Glen Rock, Saddle River,	Franklin Lakes, and other nearby cities. Our company has an A+ rating	from the Better Business Bureau, and we have won the Best of Ridgewood	Awards for Roofing & Siding Contractors every year since 2011. 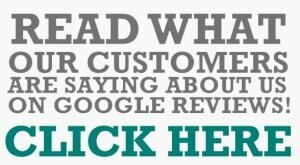 We	offer great service, competitive rates, and up-front written estimates.